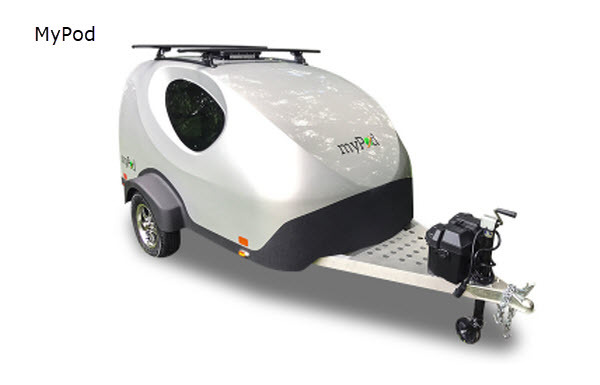 When you choose to camp with a MyPod teardrop trailer, you can get up and go whenever you are ready! This model has a 100% molded fiberglass body and an ultra-lightweight frame. Inside there is a full size-bed which can accommodate two people, and you will also stay cool since there is a 3-speed Fantastic Fan and an installed A/C. With the entertainment center, you can watch a little TV in the evening, and the window shades provide complete privacy! 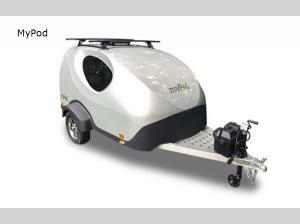 The MyPod teardrop trailer by Liberty Outdoors has been constructed to be pulled by any car. It is an ultra-lightweight unit with a curb weight of 630 pounds, and it has been designed for the avid adventurer who wants to take on numerous excursions without being burdened down by the heavy load that comes with standard RVs. You can easily travel from one destination to another with the MyPod, and the roof rack gives you the ability to bring along any additional outdoor gear you may have. It's easy to love this American-made beauty!